Hey everybody I hope you’re having an incredible day. 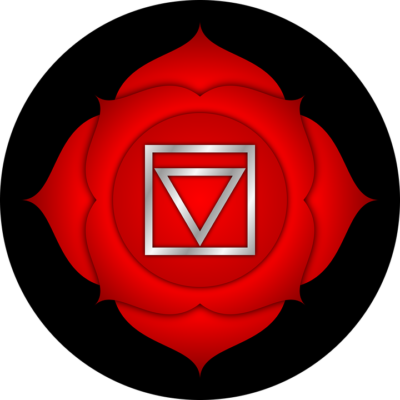 I just wanted to stop in and share three simple tips to supercharge your root chakra. So what’s a chakra, you ask? Well, those are the energy centers that run along the spine from the base to the crown, and they’re wheel like and they’re full of energy. And today we’re going to just talk about the root, but the thing with giving you three tips is to know whether you’re balanced or not. So here it is. I have a list of questions. So what I want you to do is just to grab a pen and paper, and we’re going to go through a list of questions and figure out first are you balanced or not. If you’re unbalanced, the likelihood is it’s either over or under active, and it doesn’t matter which one. We’ll have three tips that are going to work to help support you in that. Now I have a list of questions. So grab that pen and paper, and I am going to go through the list because I don’t want to miss one of those questions. They’re all very important themselves. Okay? All right. Are you ready to go? Let’s do this. Okay.The first question is I exercise regularly. Number two, my diet is healthy and balanced most of the time. I take time to be in nature on a regular basis. I feel good about my body. Oh, that’s a good one. Feel good about your body? I’m generally well organized. I find it easy to stay focused on what I’m doing. Got that? I’m comfortable with my level of prosperity and abundance. I usually trust my instincts. I’m good at taking care of the details. And the last one is I regularly de-clutter. Alright. So let’s total those up. Now did you get three or four of those as a no?Because if you did, the likelihood is you have an imbalance in your root, and that’s okay whether it’s up or down. It doesn’t really matter. At this point, I just want to give you three simple tips that are going to help benefit you to keeping that root as balanced as possible. So the first one is we want to de-clutter our life. So you want to take a look around at your environment. Do you have papers laying around? Do you have cupboards busting at the seam with stuff you haven’t even used in years but you just keep pushing that cupboard door closed, right? That’s what you want to do.You need to de-clutter your life, and that means your whole environment, your office, your kitchen. Don’t miss one room. Just start doing it room by room.Okay. So that’s number one tip, de-clutter your life. Number two, you need to get into healthy environments.And what do I mean by that? It means who are you associating with, number one.What are the people around you? Are they positive influence? Do they support you in your growth? Are they positive people? And the other most important part of that healthy environment is to get out in nature. Mother nature, you want to get in amongst the trees. You want to really step on the grass. If you’re ever feeling like out of sorts, the best thing you can do is to go outside into nature. And let’s face facts, I mean, a lot of us love to be out in nature. We love to be by the water. It’s very soothing. We love to be in the trees, in the mountains. So you definitely want to get out in nature, and make sure you’redoing it with people that are healthy and positive for you as well. Okay? So those are your first two tips. Number three, oh. Are you ready? You got to get some exercise. I know. You know I was going to say that, right? Exercise, and the reason being is it doesn’t matter what you guys do, okay? Listen, you can go for a run, you can go for a walk, that could be associated with the first tip as well. But what you want to do is find exercise that’s going to help you move energy in your body. Because when we have like muscle aches and pains or we get a shoulder or a neck, that is energy trapped in our body. Well, our chakras also get trapped energy as well, and the best way to eliminate that is to move the body. So when we get things flowing, that’s when we move energy. I mean,remember, energy is always in motion. It never stops. It’s always in motion.But it gets stuck sometimes, right? When we’re not moving, and if we’re just sitting around. So find an exercise that you like to do. Maybe it’s to go dancing, maybe it’s to go hiking, maybe it’s to go in a canoe. I mean, that’s all physical stuff. So you want to move your body. You want to get a sweat going on, okay? That’s what you got to start doing. Now, that’s it. Those are your three tips. If you want more tips and learn about more of the chakras, please follow my page. This next couple of weeks, I’m going to be talking about each of the chakras. Next week we’ll be talking about the sacral and I’ll tell you a little bit more about that. All right? Anyways, thanks so much for stopping by. I hope you have an incredible day. Thanks for taking the time. If you have value in this, feel free to share it with your friends. I’d really appreciate it.